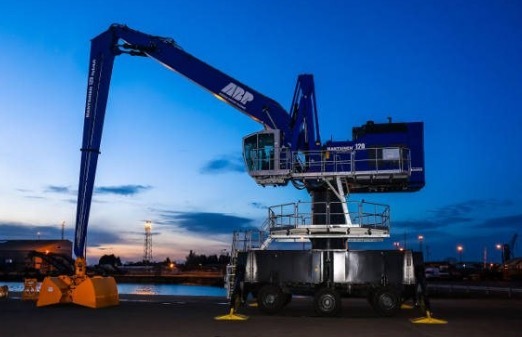 ABP’s Port of King’s Lynn on the UK east coast has invested more than US$4 million (£3.3 million) into constructing a new bulk warehouse and delivery of a hydraulic crane. The bulk warehouse, under construction and due for completion in July, is over 3,400m2 in size and capable of storing a wide range of commodities. ABP has also taken delivery of a new 120 metre Mantsinen hydraulic crane worth US$1.35 million (£1.1 million). The crane’s multi-purpose capabilities enhances the port’s ability to handle vessels with beams over 20 metres. ABP’s East Anglia ports handle more than 3 million tonnes of cargo every year, with the company the UK’s leading ports operator with 21 ports and other transport related businesses creating a unique national network capable of handling a vast array of cargo. ABP’s Ports of East Anglia, King’s Lynn, Lowestoft and Ipswich contribute US$417 million (£340 million) to the UK economy every year and support 3,577 jobs in the region and 5,000 jobs nationally. Andrew Harston, Short Sea Ports Director, said: “ABP’s investment into the Port of King’s Lynn is part of the company’s broader £1bn commitment to investment across the 21 ports.